After the traditional search for a great floor lamp was unsuccessful. 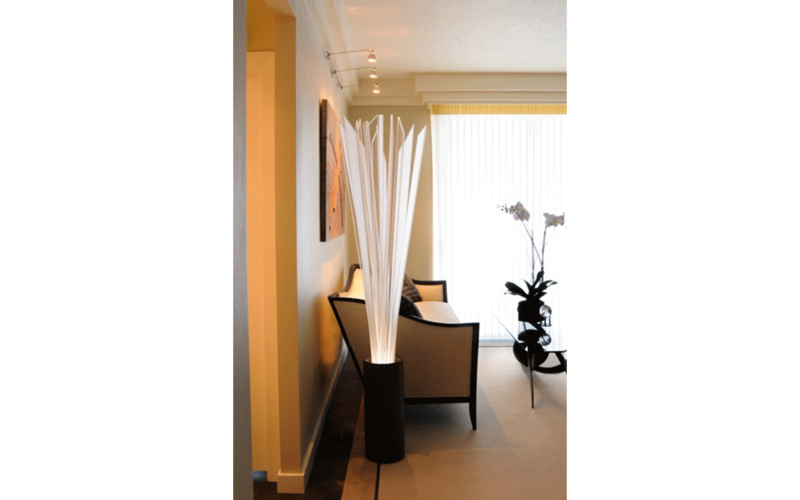 Nancy then created a unique floor lamp using different types and shapes of acrylic. The acrylic was then lit from below. Some of the acrylic pieces totally light up, while only the edges of others glow. The result was a stunning lamp providing a beautiful ambience to the room.